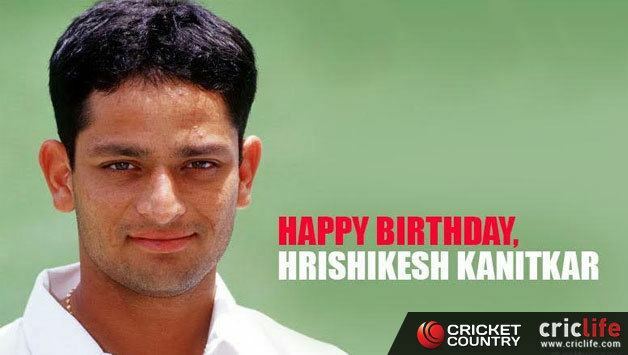 Hrishikesh Hemant Kanitkar pronunciation (born November 14, 1974 in Pune, Maharashtra) is a former Indian cricketer, who played tests and ODIs. He is a left-handed batsman and a right-arm offbreak bowler. When he retired in 2015, he was one of only three batsmen to have scored 8000-plus runs in the Ranji Trophy and also only captain in the Ranji Trophy's history to lift the Elite and Plate league titles. He scored prolifically for the Maharashtra cricket team in the Ranji Trophy to bring himself into contention for national selection. Although off the international scene for quite some time, Kanitkar joined Brentwood Cricket Club in Essex for the 2006 season. During this season he enjoyed the English conditions, scoring over 1000 runs throughout the season with an average of 76. 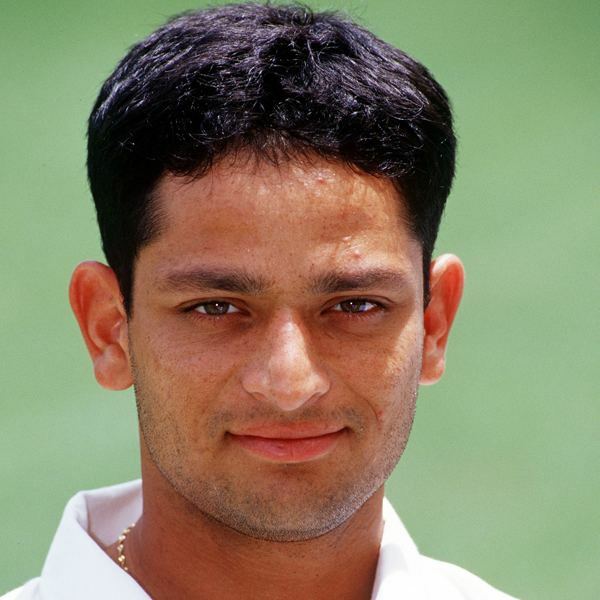 Kanitkar played for Rajasthan Ranji team as a senior player. In 2010-11 Ranji Trophy season, he captained Rajasthan Team in the Ranji Trophy and led them to their maiden Ranji Trophy triumph after defeating Baroda in the finals. 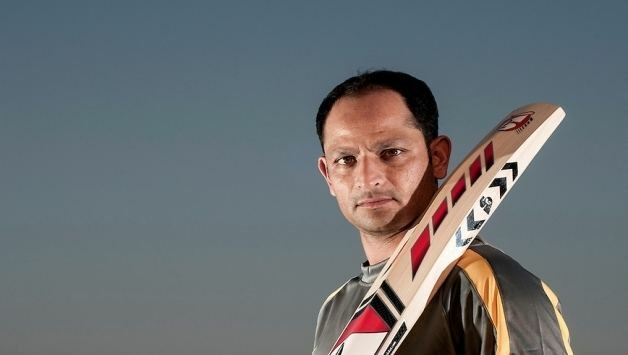 In December 2012, he became the 27th cricketer to play 100 Ranji Trophy matches. In July 2015 Kanitkar announced his retirement from cricket. He is best remembered for hitting a four when India required 3 runs to win from 2 balls in the Silver Jubilee Independence Cup final at Dhaka, against Pakistan cricket team in fading light, to complete the Indian victory. He played a few number of ODIs but scored only half-century in the format in his third innings against Australia cricket team in Kochi. He only had a brief international test career by playing in two Tests in 1999/00 both against Australian cricket team at Melbourne and Sydney. He scored 11 and 45 on boxing day Test at Melbourne Cricket Ground as Indian cricket team lost by 180 runs. In his second Test, Kanitkar score 10 and 8 as India was defeated by an innings and 141 runs and Kanitkar never played Test match again. In 2011, Kanitkar was appointed as assistant coach of Kochi Tuskers Kerala but walked out of the contract even before the IPL season began. This was due to disputes with the owners. 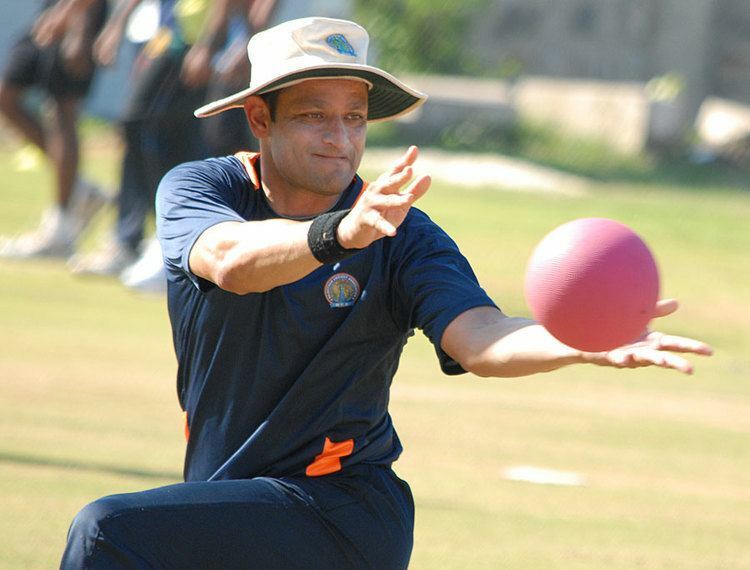 Kanitkar was named as head coach of Goa cricket team for 2015–16 Ranji Trophy season with one-year contract. He is son of former Indian wicket-keeper Hemant Kanitkar who played in two Tests in 1974.